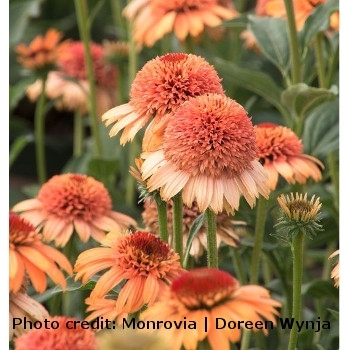 Like no other - a coneflower the exact color of a ripe cantaloupe! Fragrant, long lasting anemone-type blooms show off atop strong, non-floppy stems. Superior branching creates a full yet compact shape. This hardy perennial is perfect for a border or cutting garden, and tolerates drought when established.